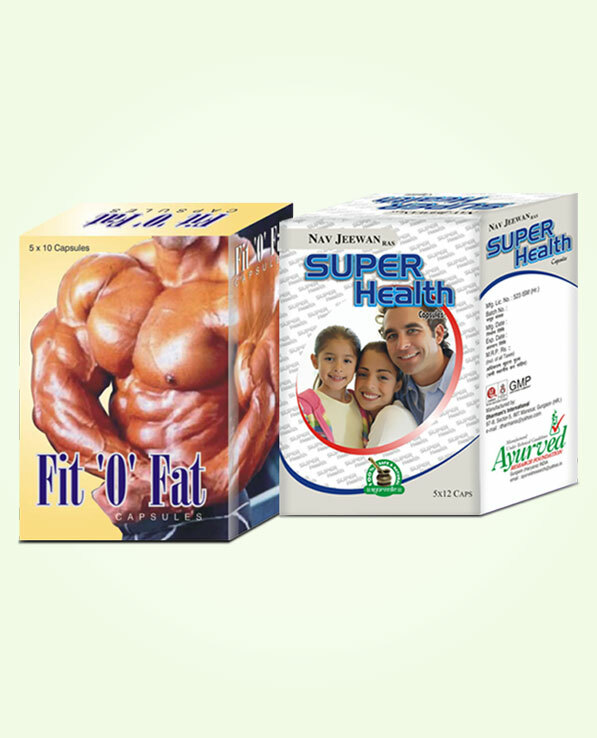 FitOFat and Super Health capsules are safe weight gainer supplements which provide healthy weight gain without increasing fat level in the body. Anorexic or leaner people too are not healthy and neither they appear charming and fit. Use of these supplements enhance body’s weight by adding muscle mass and increasing bone density to give body a perfect shape and figure and also enhance its vitality, energy and strength. These supplements remove all sorts of disorders and ailments which prevent a person from gaining weight. These possess herbs which start many good processes in the body and remove damaging substances and elements from the system. These are suitable for person of any age and provide numerous other priceless benefits like healthy eating pattern and energized vital organs of the body. Increase rate of fat metabolism and convert fat into muscle mass. Increase muscle mass and improve muscular endurance and strength. Enhance digestion and rate of absorption of nutrients. Remove deficiencies by supplementing nutrients in bio-available form. Promote secretion of healthy hormones like thyroid hormones and insulin, etc. to digest complex food items easily and burn calories for energy production. Supplement nutrients which enhance muscle mass and increase bone density to increase healthy weight. Improve functions of cardio, respiratory and digestive systems to increase energy, stamina and strength. Enhance blood flow and improve immunity to keep body disease-free. Promote higher cell generation and promote tissue enlargement and growth. Revitalize all the organs of the body and lower toxicity level to maintain internal systems healthier and energized. Lower toxicity level of the body. Enhance liver and kidney functions and clear toxins from the blood. Bring back healthy eating pattern and prevent over-eating. Enhance digestion and ensure smooth and complete removal of waste matter. Ensure smooth transfer of energy to all parts of the body. Increase muscle mass and muscular strength and improve bone density. Curb mental disorders like anxiety, depression and provide restful and sound sleep. FitOFat capsules come loaded with potent herbs like Barahikhand, Kavach beej, Vidarikhand, Ashwagandha, Jaiphal, Kesar, Safed Musli and many more. All of these herbs are rich sources of nutrients in bio-available form which remove deficiencies and also enhance nutrition to cells, tissues, bones and muscles of the body. These increase muscle mass and bone density to increase healthy weight. Some of the herbs used in these capsules are excellent for improving fat metabolism and utilize available fat to gain lean muscle mass and for producing energy. These capsules improve digestion and enhance functions of vital organs like liver, kidneys in a short time. These promote healthy hormonal secretion and metabolize sugar and carbs for energy production and growing muscles. FitOFat capsules increase fitness and energy levels in a short time and increase body mass in most healthy manner in a short time. These capsules are not only great for gaining weight but also fight back obesity by burning down deposited fat and turning it into muscles. Those who want to shed excess kilos off their body can also gain immensely by using these capsules due to their properties which increase muscle mass and bone density and utilize fat for energy production. These control excessive eating and ensure healthy calorie intake, these cure loss of appetite but also prevent frequent hunger. These capsules supplement anti-oxidants to curb activities of free-radicals. Free-radicals are majorly responsible for bringing premature aging and depleting energy and muscle mass of the body. By supplementing anti-oxidants these capsules ensure healthy growth of tissues, energized organs and higher muscle mass in the body. 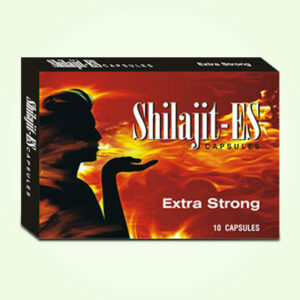 Super Health capsules too possess potent herbal ingredients like Ras Sindoor, Abhrak Bhasma, Kuchala, etc. which are wonderful for lowering toxicity level and preventing tissue damage. 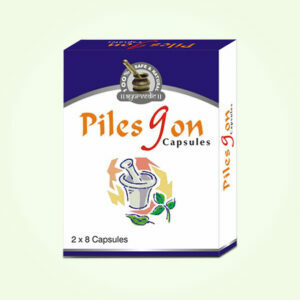 These enhance digestion and cure problems like constipation, diarrhoea, etc. These ensure smooth assimilation of nutrients in the body and energize all the organs of the body. The herbal ingredients of these capsules transfer nutrition and oxygen supply towards muscles and bones and enhance their endurance and strength. These capsules enhance stamina and ability of muscles to perform repeated tasks without getting stressed or tiring. These curb pains and aches and also prevent muscular sprains etc. These heal damages caused to tissues and organs of the body quickly and enhance flexibility and agility of a person considerably. Super Health capsules are very useful for curbing mental disorders as well. These promote sound sleep and cure problems like insomnia, anxiety, etc. FitOFat and Super Health capsules are easy to use. Just consume one or two pills of these capsules twice in a day after breakfast and dinner with water. Repeat for at least 3 to 4 months to gain maximum benefits. These herbal supplements are completely safe and suitable for person of any age and do not show any side effects even after prolonged use. The best thing about this product is that it helps to gain healthy weight without increasing fat in body. It adds mass to muscles and makes body look great. I was a skinny girl and was tired of people making fun of me. My mother bought this product for me and I regularly took it for 3 months. I gained weight and my confidence came back. Thank you FitOFat! It helps me to gain weight really fast. Totally satisfied with the product. I gain 7kgs in last 2 months. Great product by the maker. My son was very skinny and for a guy to be very skinny, it doesn’t seem good. I tried these health capsules for him and took proper care of his nutrition. My son looks pretty charming after he gained weight by using these capsules. I am glad I bought this for. Just in matter of few months my stamina and physical endurance is top-class. I can lift heavier weight and perform more number of repeated movements now. The unfading energy and strength feels so great from inside keeps me in positive frame of mind always. It was not so just few months before. I was eating healthy foods and exercising regularly but my physical capacities were below average. This supplement corrected my system and gave what my body needed to bring heartening changes. Amazing! 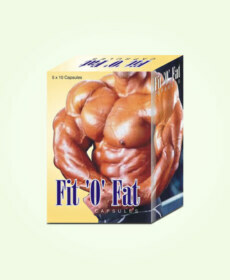 FitOFat and Super Health capsules are really best supplements for optimum fitness and sound health. Fitness cannot stay if health is suffering and vice versa. These supplements give both and simultaneously, and most importantly naturally so you get long-lasting results. I have gained healthy weight, shapely body and stronger muscles and bones at age of 30. My health is in best state right now and I stay energized to take on my responsibilities at workplace and home and of course in bedroom. Fantastic!